BRANDON, MB – Many of Brandon’s musical elite will be performing in the always anticipated and well-received Faculty Concert, the first event in the 2014 pro series presented by the Brandon University’s School of Music, at 8 pm on Tuesday, January 14, in the University’s Lorne Watson Recital Hall. 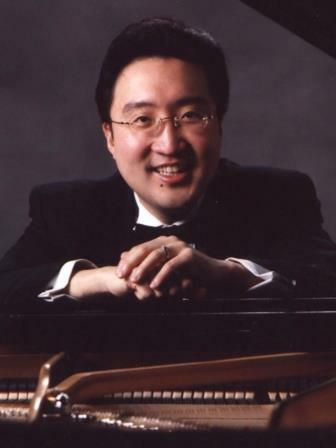 “This concert will present a wonderful showcase of our faculty’s talents, featuring dedicated teachers and seasoned, renowned performers,” says Dr. Michael Kim, the pro series’ artistic director and the Dean of Music at Brandon University. Performing in this year’s Faculty Concert are: Michael Kim, piano; David Playfair, vocalist; Edward Bach, trumpet; Michael Cain, piano; Kerry DuWors, violin; Gerhard Ginader, electroacoustic; William Gordon, recitation; Nancy Hennan, flute; Kyung Kim, piano; Paul Madryga, guitar; Megumi Masaki, piano; Eric Platz, drums; Victoria Sparks, percussion; Crystal Tait, double bass; Catherine Wood, clarinet; and Leanne Zacharias, cello. Guests include: Kevin Ei-ichi deforest, visual artist; Sunhwa Her, piano accompanist; and Donn Navidad, bass. Tickets for all pro series events can be purchased in advance in the School of Music main office, as well as at the door. Single tickets for pro series concerts are $15 for adults, $10 for students, seniors and alumni, and $8 for Conservatory students. The next musical offering in the 2014 pro series is the annual New Music Festival, slated for January 23 and 24. This year’s theme is C3: Creative, Cutting-edge and Collaboration. Performers will include the BU New Music Ensemble, BU Percussion Ensemble, and XIE. Further information about the School of Music, the pro series, and student performances, please visit http://www2.brandonu.ca/events/allevents.asp?source=music.